Black Rock may specialize in sizzling steaks, but there is a lot more they have to offer. For $20.99, you can get the all-you-can-eat Brunch buffet with featured items such as their house Benedict, ribs, and chicken and waffles. In the mood for drinks? They offer bottomless drinks that are interchangeable in case you would like to have some variety. Bottomless options include: Screwdrivers, Bloody Mary’s, Mimosa’s and Red or White Sangria. To make reservations, call: (407) 217-7170. Slate is a recipient of the 2018 Golden Spoon Award, which is a distinctive award that only approximately 100 Florida restaurants receive annually. 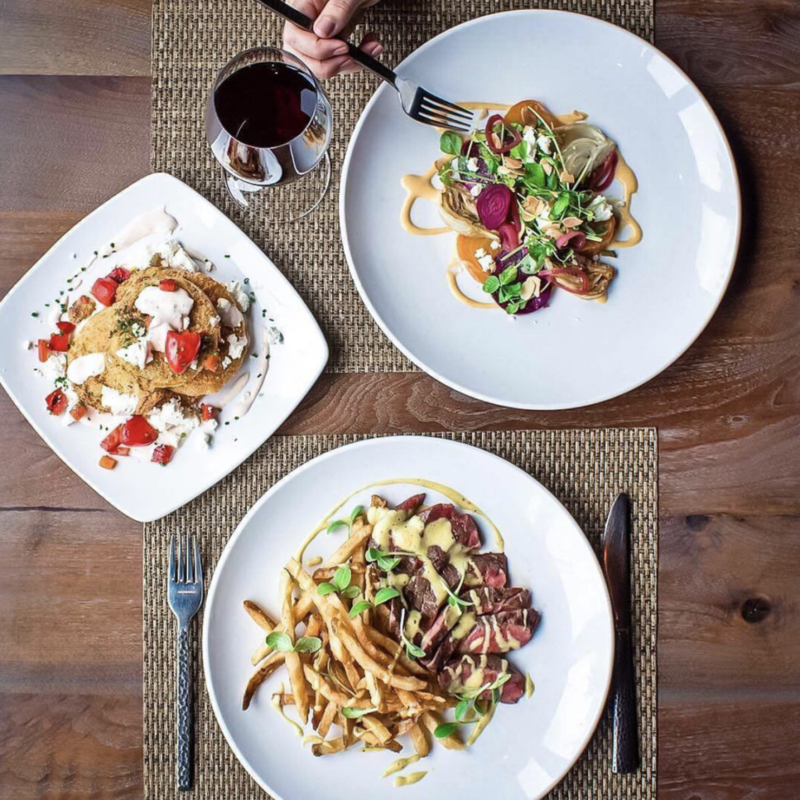 Some of their popular dishes include their special Slate Eggs Benedict, Crispy Jerk Chicken & Waffle and Smoked Brisket. Although they don’t offer a bottomless menu, their drinks are delicious! For drinks, we highly recommend their Appertivo Fizz. To make reservations, call: (407) 500-7528 or book now online. 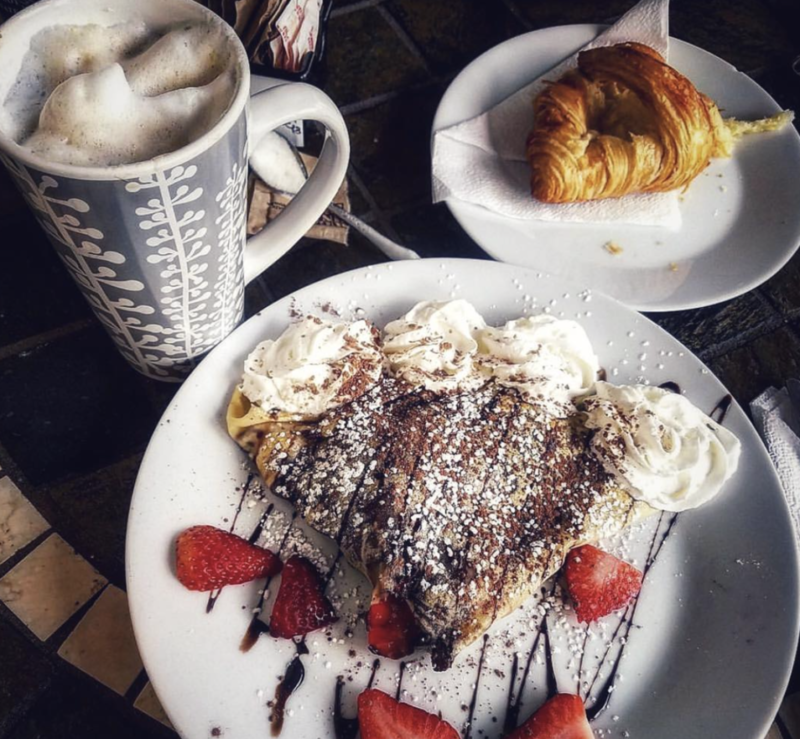 Le Cafe de Paris gives you a taste of Paris, without leaving Orlando. Choose from a variety of omelettes, quiches and panini sandwiches or skip breakfast and go straight to dessert with their Crepes. Top off your meal with one of their premium coffees and your stomach will thank you. For more information, call: (407) 293-2326. Share with us your brunch photos using the hashtag #EasterBrunchday and tag I Love Dr. Phillips!